RUNNING a training day, conference, seminar or other event? It would be a shame to miss the opportunity for some powerful post-event publicity in the form of a write-up. 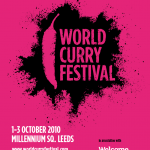 Excellent coverage, which may go out as a press release or a report in your online or printed newsletter, is an effective way to round off the delegate experience and encourage more people to attend next time. It’s even better if you include a video. 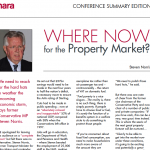 As a seasoned reporter of speaker events, such as the Yorkshire International Business Convention, my coverage is guaranteed to be thorough and compelling. 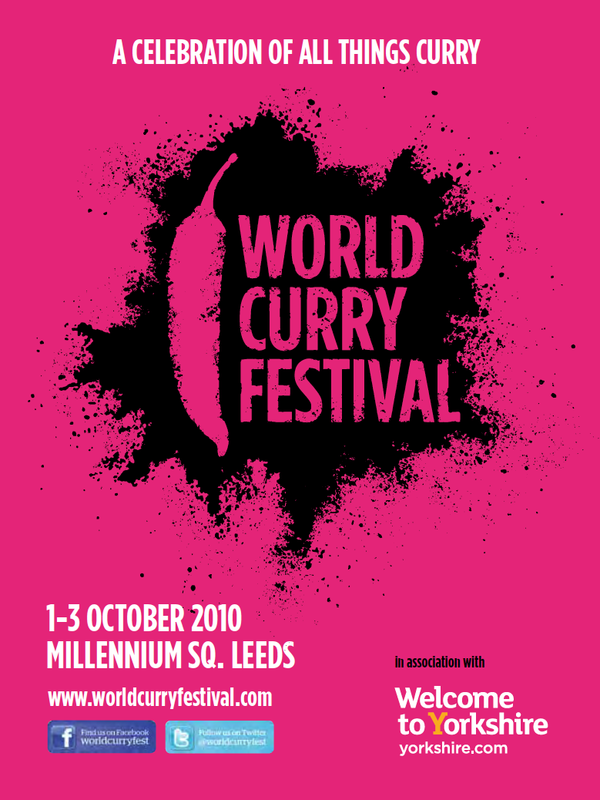 And don’t forget event programmes – filled with quality, relevant features and news items, programmes and brochures bring in better advertisers and more PR opportunities. 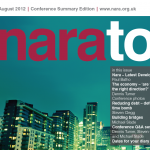 This edition covers a technical conference held for members of the Association of Fixed Charge and Property Receivers, Nara. 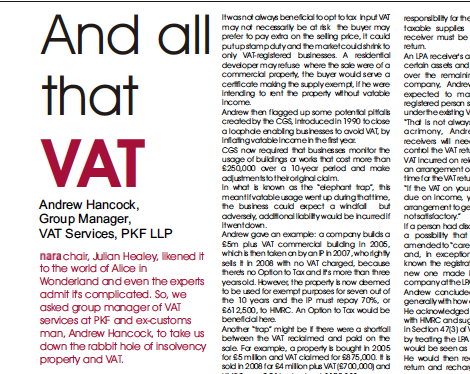 It required full coverage of subjects including VAT, building regulations, the licensed trade and a legal workshop. 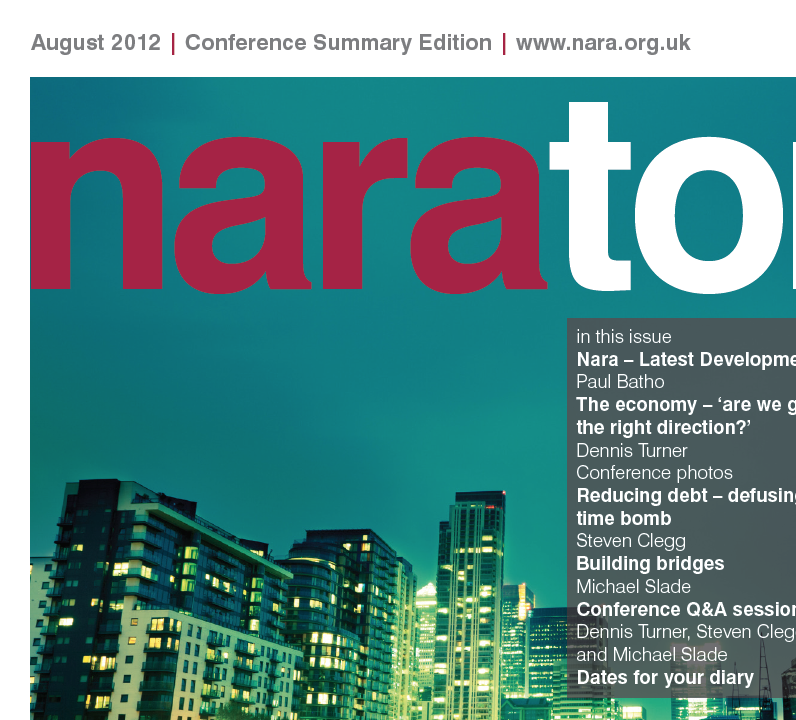 I cover conferences organised by Nara, the professional association for property and fixed charge receivers, for their online and printed newsletter Narator. I produce tight but detailed summaries of each speaker’s presentation, which is used as a refresher for delegates, as well as a resource for those unable to attend. 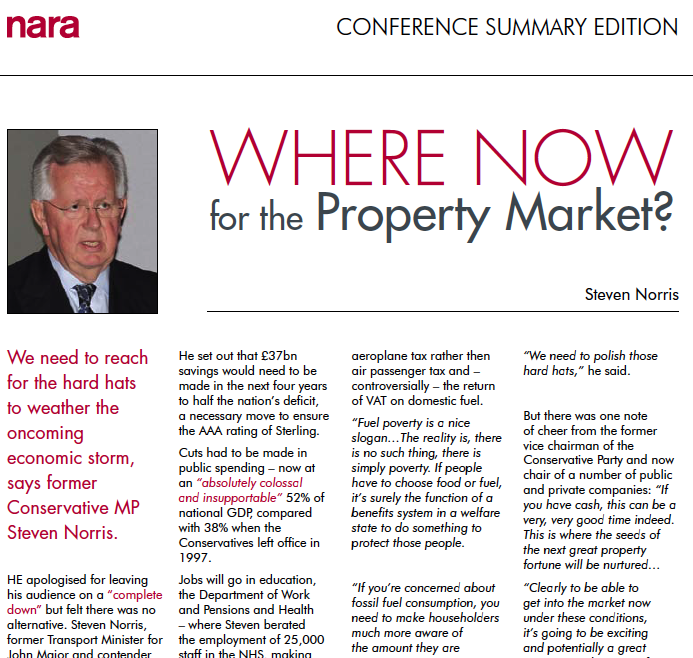 Here former Tory cabinet minister Steve Norris gave some hard-hitting views on where the property market was headed.